Much of Swiss composer Katharina Rosenberger’s work manifests in an interdisciplinary context and is bound to confront traditional performance practice in terms of how sound is produced, heard and seen. Her compositions, installations and interdisciplinary operas have been featured at festivals such as the KunstFest-Spielen Herrenhausen, Hannover, Klangwerkstatt, Berlin, Tage für Neue Musik, Zürich, Journées Contemporaines, Basel, Festival Archipel, Genf, Festival reMusik, St. Petersburg, Felclja Blumental Festival, Tel Aviv, Shanghai New Music Days, October Contemporary, Hong Kong as well as in many concert series throughout Europe and the United States. Her music has been released on HatHut Records/hat[now]ART, Unit Records and Akenaton. Her Portrait CD TEXTUREN has been awarded the prestigious Copland Recording Grant and was selected for the Preis der Deutschen Schallplattenkritik, Bestenliste_4, 2012. 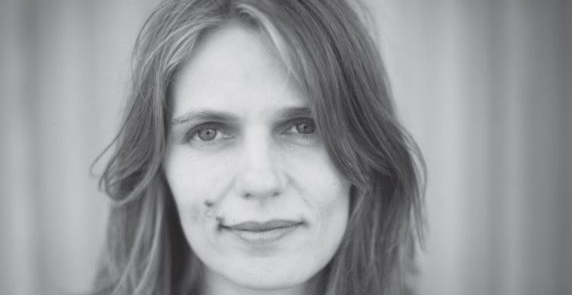 Katharina Rosenberger is associate professor of Composition at the University of California San Diego and holds a Doctor of Musical Arts from Columbia University, New York, USA.